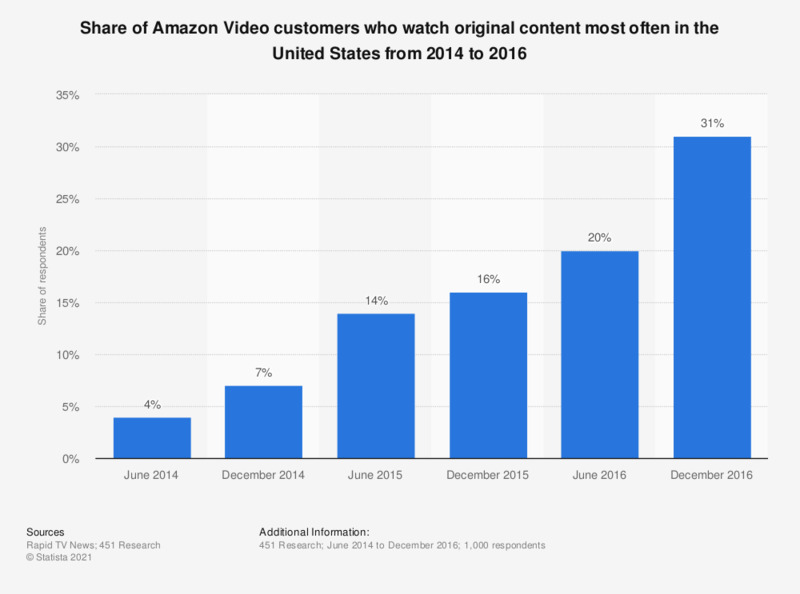 This statistic illustrates the share of Amazon Video customers who watch original content most often in the United States from 2014 to 2016. According to the source, 31 percent of customers watched original content most often in December 2016, up from 16 percent a year earlier. The source does not provide further information on the survey methodology.